Two is good, but three is best. There are going to be some casualties when you're on the river for a week straight, and chances are it's going to be that 9-foot 3wt you brought. The Simms Bounty Hunter 3 Single Hand Rod Cannon gives you the ability to load up three of your favorite trout sticks, so you're ready when one of your rod tips fall victim to the river—or your friend's foot. 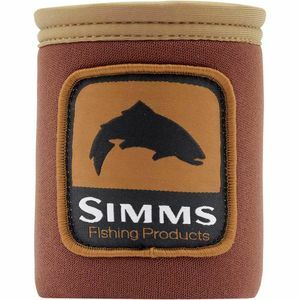 Simms gave this rod case a versatile design that will carry three four-piece, 10-foot rods in one compact and secure spot. The case itself features an adjustable shoulder strap for hands-free carrying to make loading up the boat or navigating airport security as easy as possible.